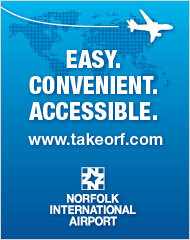 Jamestown is located on Jamestown Island in the James City County, Hampton Roads region of Virginia. 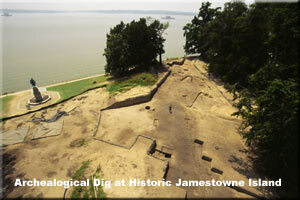 Jamestown was the first permanent English settlement in the New World, but was first inhabited by the Powhatan Confederacy. Historic Jamestowne -- operated by the National Park Service -- is where more than a million artifacts have been recovered by the Jamestown Rediscovery project, which is an onging archeological dig. 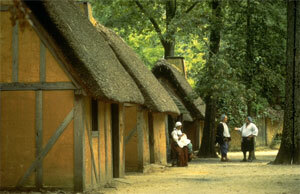 Jamestown Settlement is a re-created English fort and Powhatan settlement with living history intrepreters. Replicas of the three ships are docked here, too.